Apple has already confirmed that iPhone sales are down but it hasn’t specified by how much. Thanks to a new report by Counterpoint Research, though, some light has been shed on the matter. Overall, sales in the November period declined a considerable 20% when compared to the previous year, according to the data gathered. 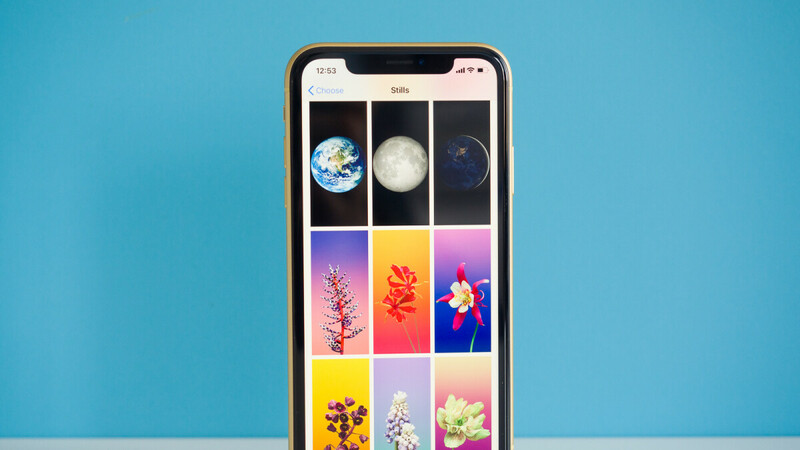 Throughout this month, the newly-released iPhone XR became the best-selling device just as expected, with the 64GB model, in particular, shifting the most units. Nevertheless, it appears sales still lagged behind those of the iPhone 8 by around 5%. In regards to iPhone XS sales, these were actually 3% higher than those of the iPhone 8 Plus during the same period in 2017. However, when comparing the iPhone XS Max to the iPhone X, a huge drop in sales is noticeable – sales of the newest device were 46% lower than those of the iPhone X. Now, considering the iPhone X was released in November and the iPhone XS Max arrived in September, the comparison above isn’t exactly fair. After all, when cumulative iPhone XS Max sales are added into the equation, sales of the latter device are actually 50% higher than those of the iPhone X. Unfortunately for Apple, a large portion of these was registered in the third quarter instead of the fourth. Looking at China specifically, Counterpoint Research saw a lower-than-expected demand for the iPhone XR due to a lack of innovative features and the presence of just one rear camera. Alongside this, its high price is also said to have played an important role. 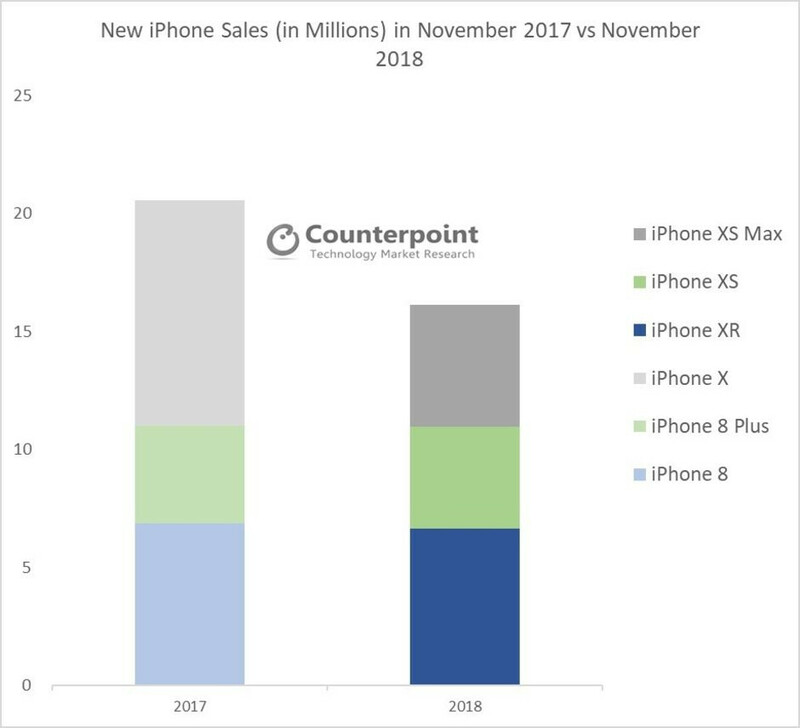 While December numbers are yet to be released, early predictions see the iPhone XR equating for a larger share of sales during the period. In addition to this, the popularity of iPhone 7 and iPhone 8 models is expected to grow in emerging markets because of the high prices of newer iPhones. I think Apple needs to go back to its (Design & Innovation) before engineering approach as it was in Steve Jobs Era. I know there were some fails like the #AntennaGate with iPhone 4, but given the current tech and advancement in various cellular components, such things are unlikely to happen. Consumers need a very strong reason to upgrade. Even my iPhone 6s Plus runs very well and is still daily driver material. This is the reason why the current devices are perceived un- enthusiastically by their current customer base. Additionally, the overall smartphone growth saturation in the world except in a few markets, is probably why Apple is having a relatively poor quarter and their growth has decreased. I would not mind paying $1000 , but there should be something in it that a $600-$650 phone cannot do at all/ does it but poorly. I don't believe it's the phone itself, if I was an iOS fan, I don't see how I wouldn't love the Xs/Xs Max. They check all boxes, great screen, camera, at least an above average battery, superb speakers, blazing fast performance, etc... The only problem with these phones though, and it's the most significant one, is that not all iOS fans are finding the need to pay $1000+ for these phones. It's the same with Samsung's flagships, great flagships with stupidly high prices that are high enough to repel many of those interested in an upgrade. I too agree with the fact that $1000 is too high for a well-rounded phone at best. And yeah, not "needing" to pay $1000 for the said features is exactly what I would say, incremental (non innovative) upgrades. Hence, I emphasize a feature which would justify the price tag but isn't available in any other phone. Some would buy it because of the novelty , others because it would make a meaningful difference in their day to day smartphone usability. I still remember the iPhone 4 fondly as the mainstream consumer phone to touch 326ppi Retina display. Once you looked at its display, all other phones at the time looked inferior in comparison. Some feature(s) of the same magnitude would do well for Apple now. I still remember the iPhone 4 and how crisp the screen looked when compared to my galaxy device at that time. Everytime I held it, I would keep staring at the display trying to figure out how is it possible for a screen to be this sharp. It astounds me how so-called "mobile tech buffs" readily regurgitate the ramblings of the economically-challenged average Joe and Jane. Apple and Samsung are victims of their own success. The BOM of the iPhone 3G was $173. The BOM of the iPhone XS Max starts at $440. Consider that the screen of the iPhone XS costs upwards of 50% of the entire BOM of the OG iPhone and the price increase wouldn't seem so arbitrary. Profit margins have remained flat or seen a slight increase only (certainly not commensurate with the MSRP increase). Components prices are through the roof. R&D didn't get cheaper either over the last decade. And whatever you develop anyway will be copied by the Chinese within 6 months. It'd certainly be inferior, but it'd also be cheaper and you wouldn't even recover the tens of millions poured into R&D because apparently your device is overpriced or the feature is not that important. Case in point, the foldable tech by Samsung. Samsung may have the superior in-folding tech developed over 5 years. But you can be sure Xiaomi, Oppo, Huawei will flood the market with the inferior out-folding tech made by BOE and price it a couple hundred dollars cheaper. There goes 5 years and hundreds of millions in R&D. Who wants to deal with that sh*t! Samsung and Apple should smell the coffee and become like the laptop manufacturers. Cap the price, introduce incremental upgrades yearly, and expect a 3-4 years upgrade cycle. Cut R&D substantially and spend the difference on a new vertical or on unearthing the next big thing. Smartphones have plateaued. Those of you looking for something to be excited about in a new smartphone should go find a new interest or hobby. Let the Chinese fall over themselves with their 5% profit margins. First sensible comment by this BearHug gentleman on phonearena in months. Your arguments are sound and I agree that the BOM has been raised and a lot of investment has gone into technologies,R&D etc. and that for some reason, the Chinese companies are able to duplicate the said technologies easily. But the point is that the techies are not the only ones who run the smartphone world. In-fact, we are the minority. Majority of the smartphones are brought by the average Joes and Janes of this world.People who have never heard of sites like Phonearena. People who want a device that works and unless it does something that is really important in a way that really makes a difference for average joe's and jane's of the world, the logical argument you present will never be able to perform well in real-world scenarios. I might be horribly wrong, but only time can tell. The same is true for 6s, 7 and 8. If one wants an iPhone, one should definitely get these year Xes, but if one already has a (good) iPhone, there's absolutely no reason to change it for a new one (unless one gets it for free). They don't hit all the boxes with the iPhone XR. Plus all of their iPhones this year are too much, and not worth their asking price. Noooo!!! Midan promised me sales would be going up! He said we were all wrong, he said Apple would be selling more and we'd all realize how wrong we were.... Care to twist this one, Midan? Hmmm. He’s conspicuously absent from this conversation. $1400 for a phone with 3rd best camera, 2nd best speakers, 3rd best screen, worst modem, same old OS and horrible updates. It’s justifiable that they would lose sales. 2018 and the iPhones take longer to charge than 2014 Android phones unless you spend extra money. It's comical really. The phone with the best phone camera has worse speakers, a worse display, a worse modem, worse updates. The phone with the best speakers has a worse camera. The phone with the best display (which, btw, is the place the iPhone shares with other phones) has worse speakers. etc. That's why, when you add all those first, second and 3rd places, you get the phone that can be considered overall the best. Apple will need to shift it's business elsewhere. iPhone have reach it's peak. I don't think it will be able to recover it's old glory. Mobile phone market is saturated already. With ever groving prices of flagship phones Samsung and Apple gave free space for Huawei and other brands, which are happy to sale flagship phones for 600-800 dollars.